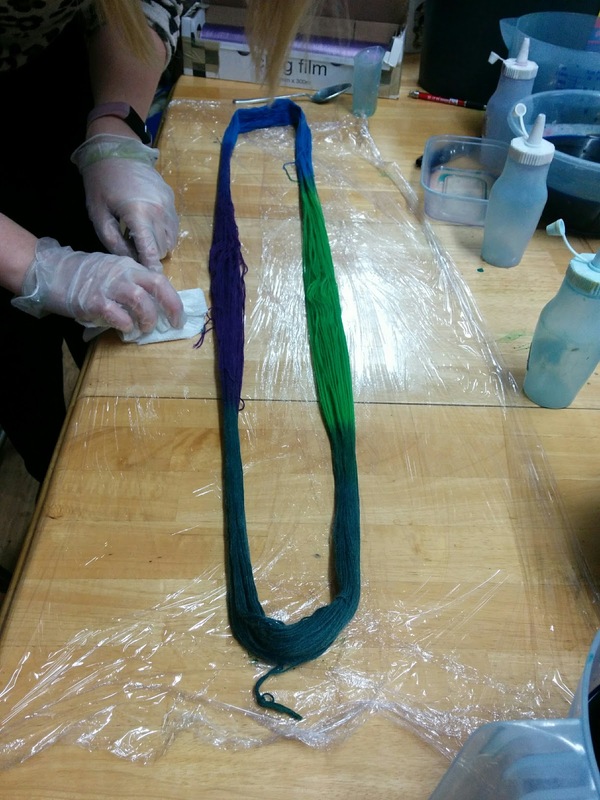 In December, my BFF Becky and I went on a yarn dying course! We're both huge knitting fans, and had been eyeing up gorgeous (and expensive) hand dyed yarns for years. We decided as a Christmas present to each other, we'd go on a course together to learn! After a lot of research, we discovered a place near Andover, North Hampshire called Beaker Button. 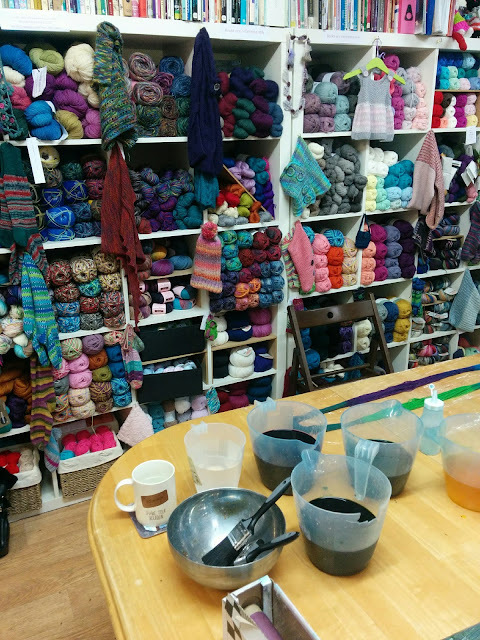 It's run by a lovely lady called Jen who is passionate about all things yarn-based. Her beautiful shop was a cave of inspiration and gorgeous colours. The class was £40, and there were only the two of us. 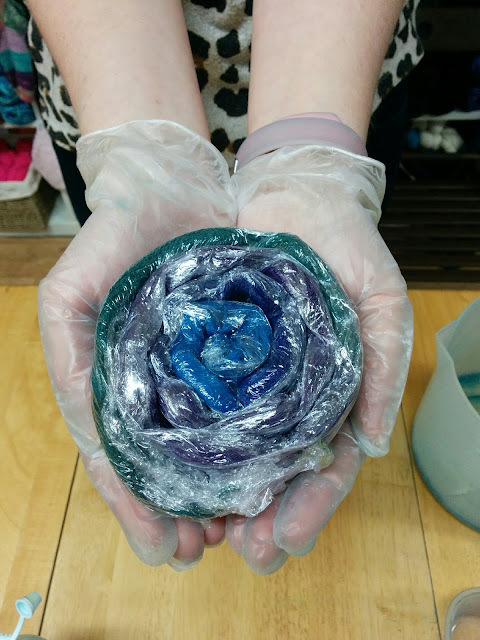 We got 3 skeins of sock yarn each and learnt 3 different dye techniques - kettle dying, hand painting, and dip-dying. We learn to hot-dye, and how to do it at home. 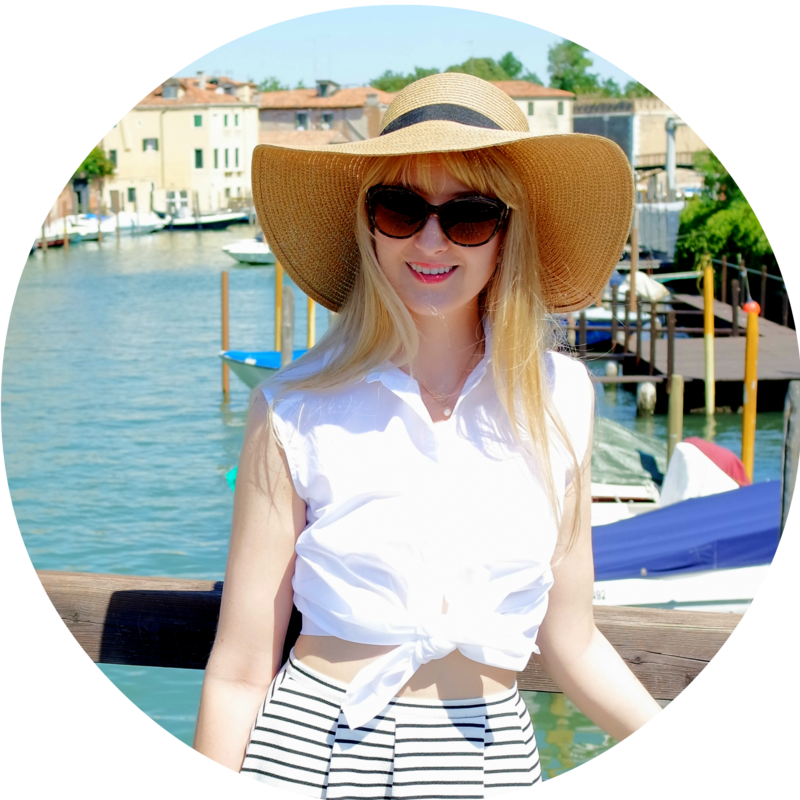 Jen was a brilliant teacher - so knowledgeable and confident in her well-practiced skills. 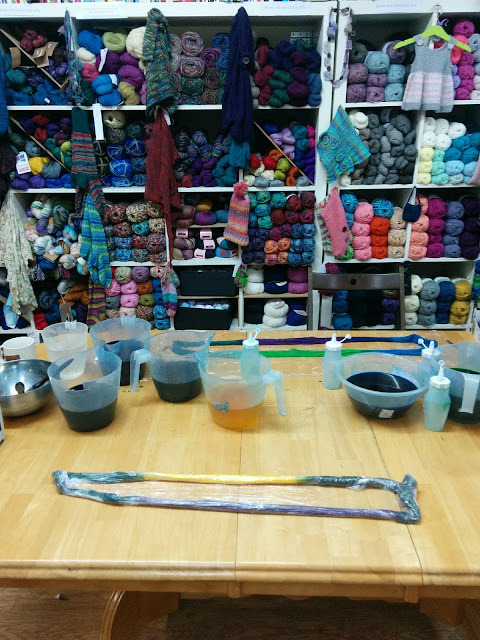 She was hands-off enough that we got to mess around, choosing and mixing dyes and playing with colour schemes. However she was also always watching us (usually me!) like a hawk to remind me not to let colours touch, where I'd missed and to remind me to put bright colours in for change! She had a great eye for colours too. I knitted mine up into an asymmetric scarf, perfect for spring! 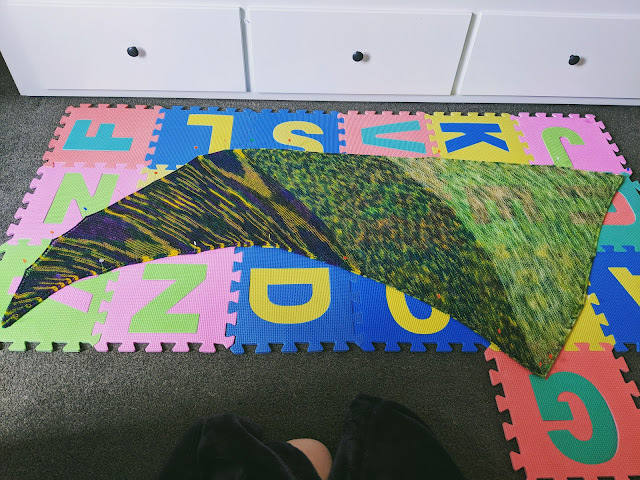 Look at the colour pooling! It was really fun to knit up, and see how the colours fell (geek!) This is it blocking out after I finished it. If you have a knitter in your life, I'd really recommend taking them to this class. 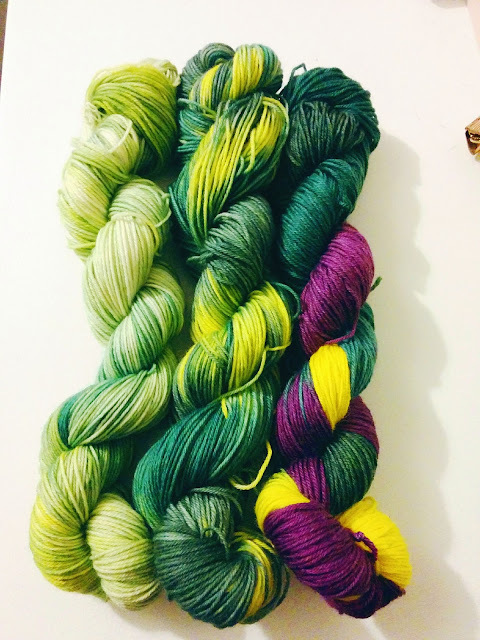 I feel really confident now and am going to have a go at making my own kettle-dyed yarn for a jumper - I love that gentle, variegated effect.